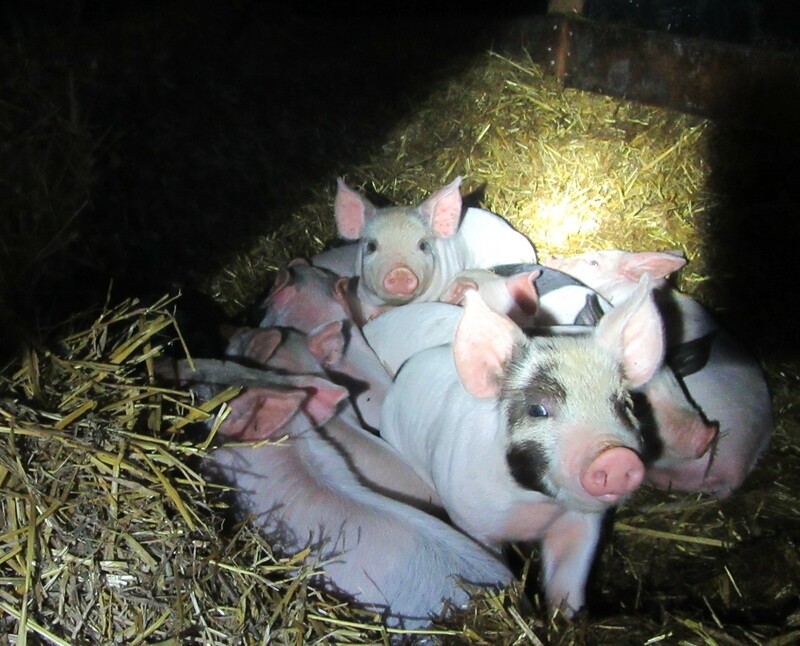 We had a very good Spring farrowing so far with only one sow left to farrow. 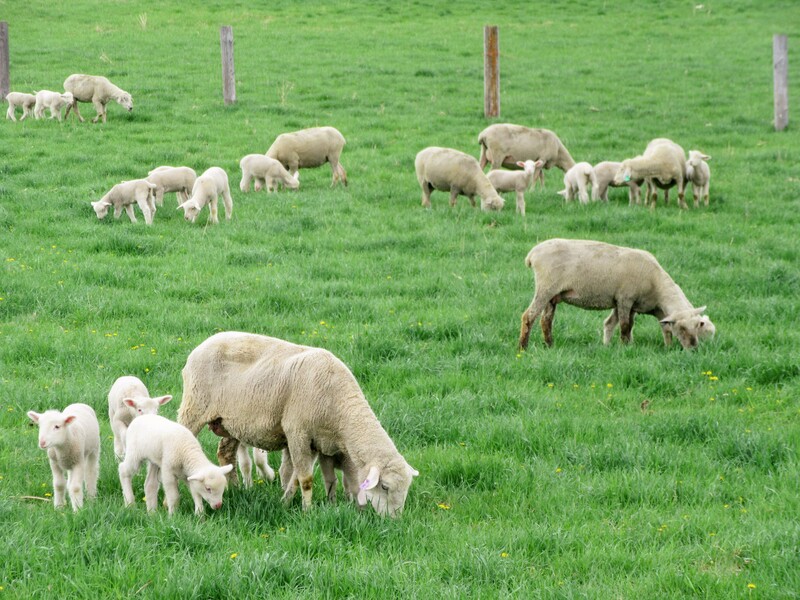 Weaning has now started and so far so good, thanks be to God! We’ve had the Organic Apple Cider Vinegar running into their water the entire time and feel that it has improved their over all health. We are always learning new things and try to incorporate them as we go. 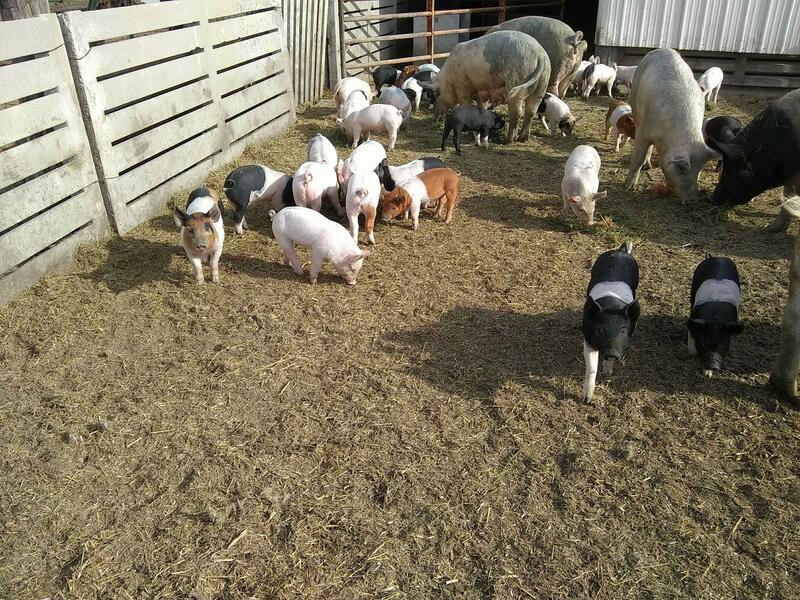 Marisa is calmly feeding hay to some very gentle piglets in this video clip below. 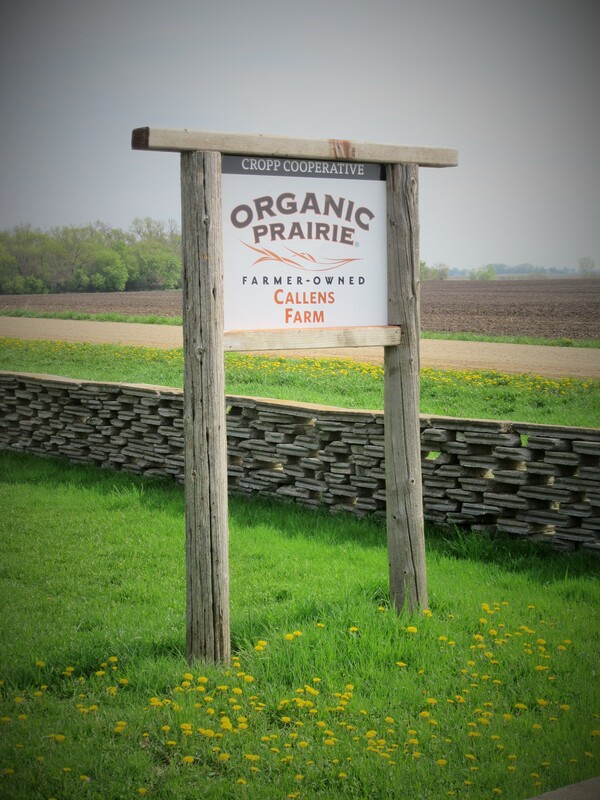 Beautiful, healthy, happy Organic Prairie pork! See them smiling? Silvana fed these 8 and 9 week old piggies! 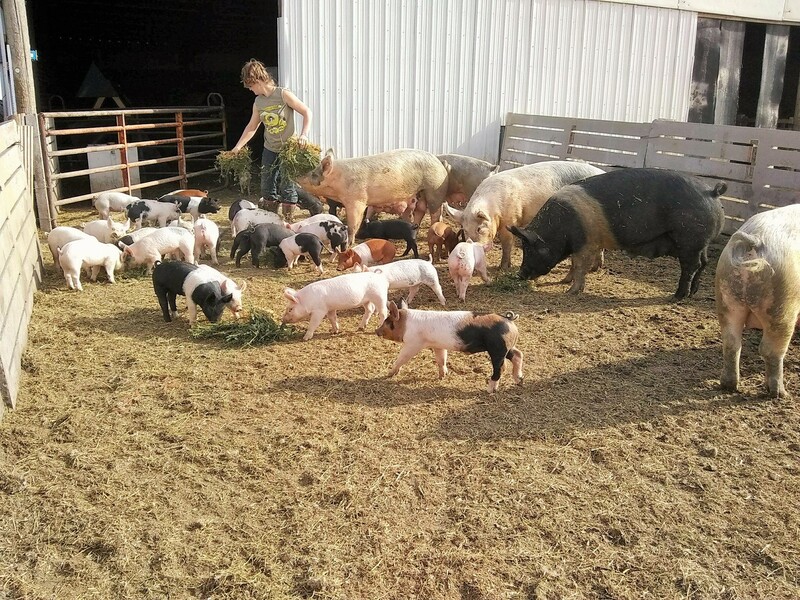 Marisa feeding the sows and their 5 1/2 week old piglets. 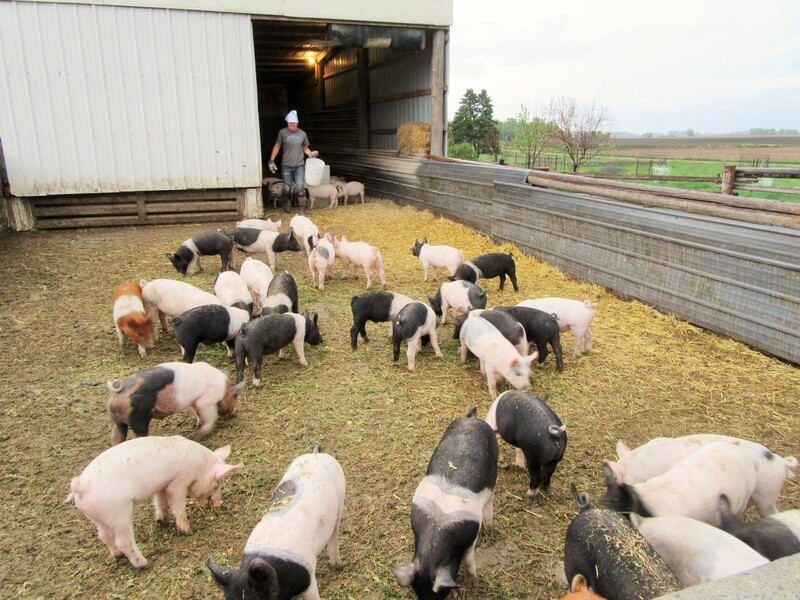 There are 270 piglets as of today. Meat birds and new laying hens are growing daily. Below is how they looked this morning! 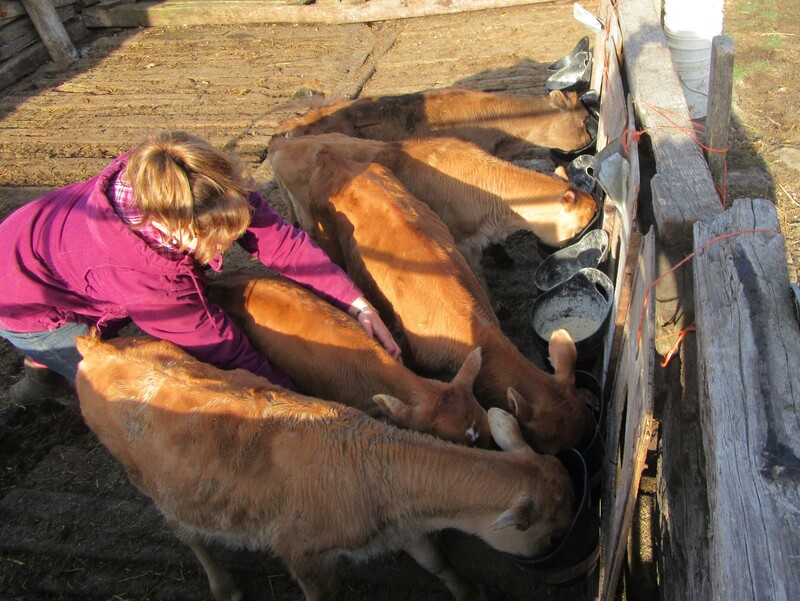 We “got milk”……mostly for the lambs and calves! That’s Bella milking this cow. Home made baby lamb warmer Fred built from old bee boxes! 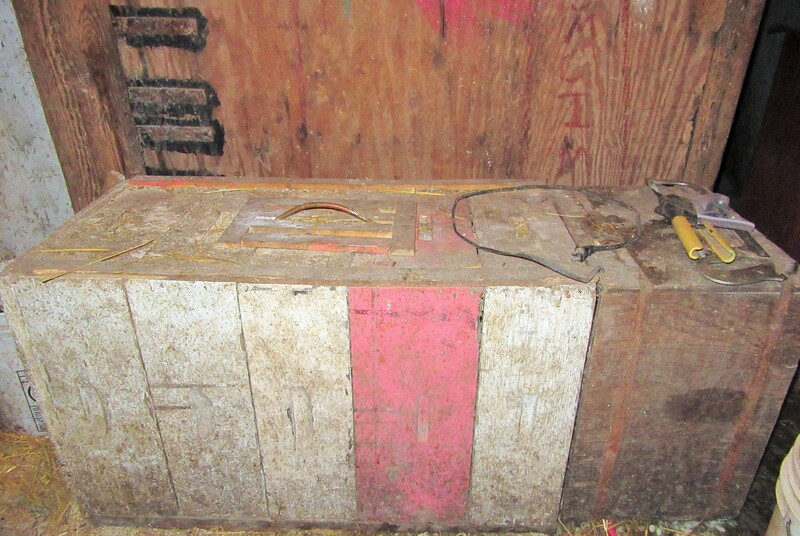 We dropped very cold lambs in this heater and saved their lives! Good American Lamb on God’s Green Earth! 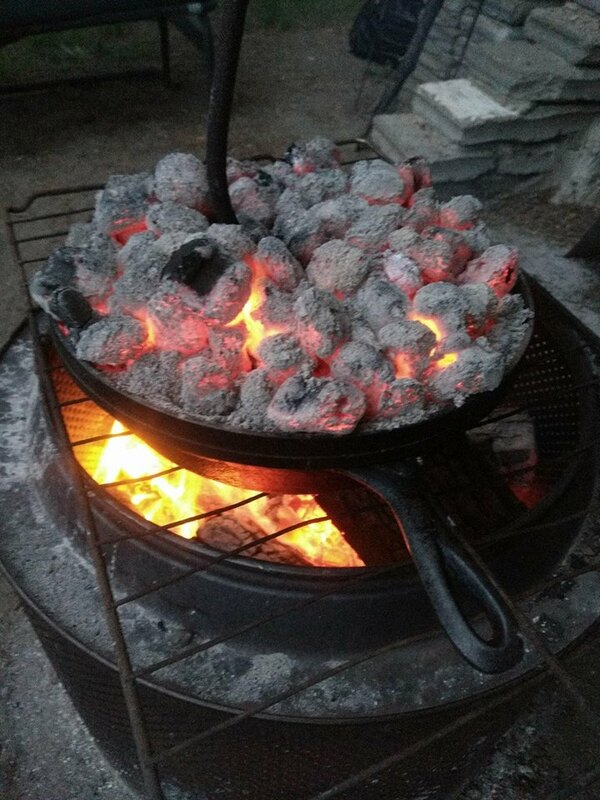 Thank God for Sunday, a day of rest, fun and company to cook for. 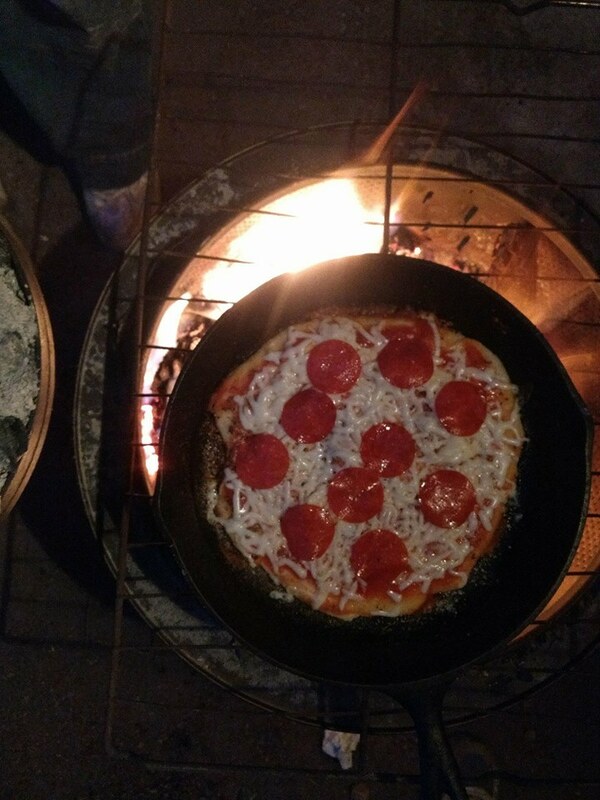 First Dutch oven pizza of the year turned out delicious. The white pizza was the best in my opinion, Focaccia. First Asparagus hunt as well. 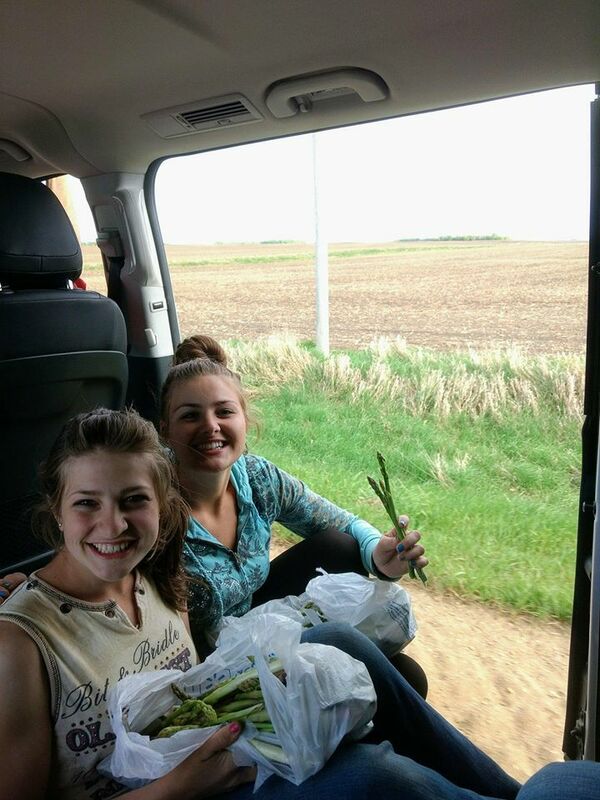 Bella and Maggie asparagus hunting…..the easy way! Life is good by golly! 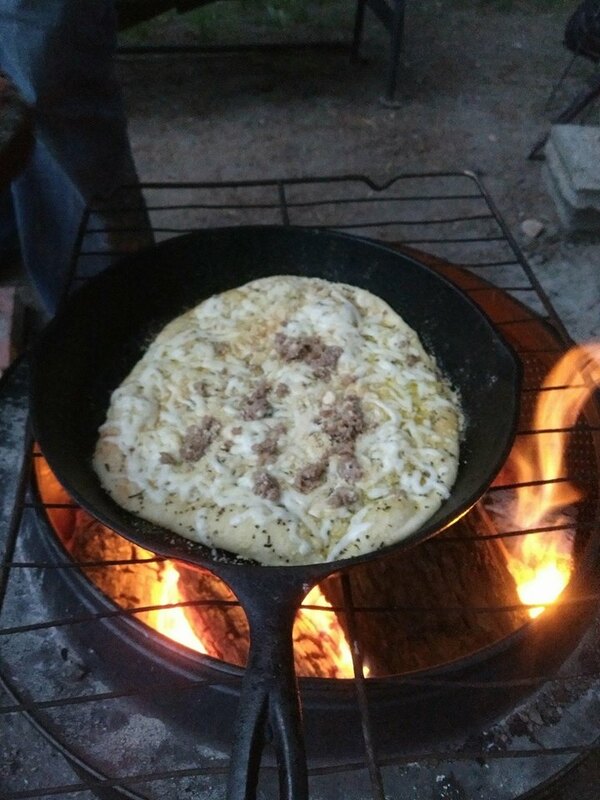 This entry was posted in LIVESTOCK and tagged asparagus hunting, Callens honey farm, cast iron pizza outoors, farm to table, farrowing pigs, Organic Prairie Pork. Bookmark the permalink. 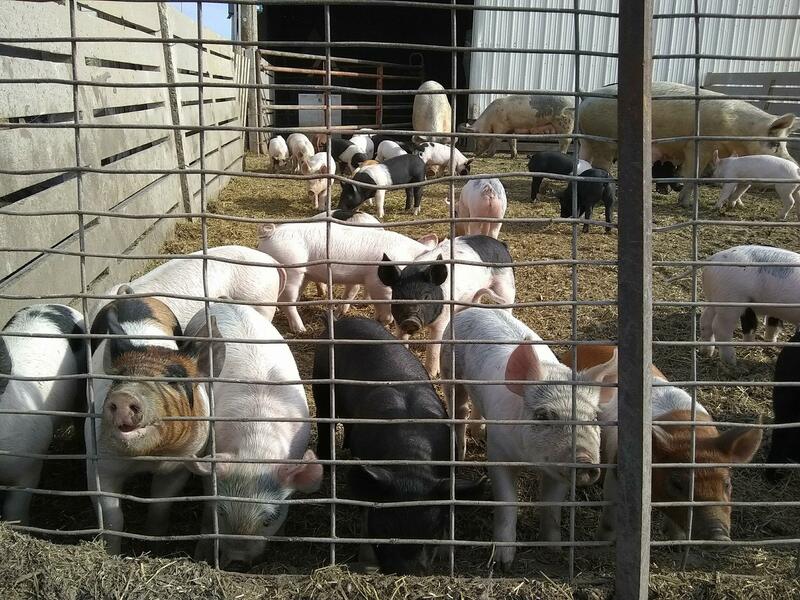 looks like some nice healthy pigs .. I always love reading up on everything that you are all up to! So much going on since I was there 4 years ago! Love all the pictures! I miss everyone! Love and miss you too….come out soon and bring the children! !